Telescopic sights have been around for a very long time. As a military weapon system, they were used to great effect in the US as far back as the Civil War. Both Union and Confederate snipers used the British Whitworth Rife with 4 power scopes as sniper weapons. Telescopic sights on rifles have certain advantages and uses. But too many people want them for the wrong reasons. First of all, if you are a lousy shot with iron sights, you will be a lousy shot with a scope. Learn the fundamentals of marksmanship first using your rifle’s iron sights before you decide to put a scope on it. Don’t think that a telescopic sight will compensate for bad marksmanship. There are some folks however who have great difficulty using iron sights because of vision issues and in that case a scope will help because it can be focused to their eyes. But you still have to know how to shoot. The basic value of a scope on a rifle is that it allows you to extend the range that you can project power. In other words, if you are skillful, you can place precision shots on targets at greater distances than you normally could with an iron sighted rifle. When hunting game, it reduces the amount of stalking you have to do to get within killing range. For defensive purposes, it has some serious tactical advantages. If you are forced to defensively engage armed hostiles, it allows you to engage them at greater distance, therefore slowing them up, reduce their numbers, and allowing you more time to evade and escape. Rifle scopes also allow you to see better in dim light. For the benefit of those who are new to scopes, lets take a look at some terminology and concepts that you need to know. 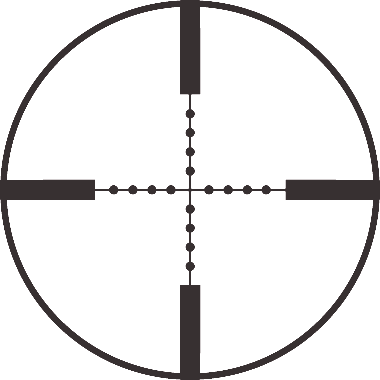 The diagram shown above details a typical rifle scope. Although various scopes may have additional features such as battery compartments for illuminated reticles,this shows you the basics. Basically a rifle scope gathers light from the image you are looking at and enhances and increases the size of the image you see. 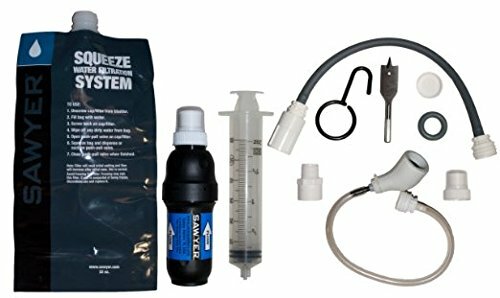 These are some of the important terms you should know to understand your scope and how it works. These are either from the Steiner website or my own explanation. Objective lens: The objective lens of a rifle scope is the front lens. The diameter of the lens determines how much light is delivered to your eye. A larger lens translates into greater detail and image clarity. This is especially useful in low light conditions such as dawn and dusk. Ocular lens:The ocular lens is the lens closest to your eye. You look into the ocular or eyepiece to see the images that are magnified by the scope. The exit pupil is emitted from this lens. Exit pupil: Measured in millimeters, this is the diameter of the beam of light that leaves the eyepiece of a rifle scope. The larger the exit pupil, the brighter the image will be. Having a large exit pupil is an advantage under low light conditions. Eyepiece (Ocular):The lens or lens group between the final image in a visual optical instrument and the viewer’s eye. It serves to magnify that image, thereby determining the magnifying power. Power (Magnification):The amount of magnification of the object a scope will produce. Some scopes are fixed power such as a 4x scope. This means that the scope will magnify an object four times the size of what you could see with the naked eye. Some scopes are variable power such as a 3×9 variable power scope. This means that the scope can be adjusted to between 3 and 9 times the size of an object as seen with the naked eye. Resolution: Resolution is a measurement of the riflescope’s ability to distinguish fine detail and produce a sharp image. Better resolution also delivers more intense color. Resolution varies in relation to the size of the objective lenses. Generally, a larger objective lens will deliver more detail to the eye than a smaller objective lens, regardless of the magnification. Parallax: Parallax is the apparent movement of the reticle in relation to the target.. This is most noticeable when the eye is moved off of dead center when looking into the scope. If you move your eye a little off center to any direction and the crosshair remains on the same position of the target, you are said to be “parallax free”. If, on the other hand, you move your eye a little bit and the target appears to move within the crosshair, you are experiencing parallax error. Light gathering: The ability of your scope to gather all available light from a target and transmit it through the scope to your eye. The larger the front lens or tube diameter, the more light that can be got to your eye. Field of View:Field of view (FOV) is the amount of area seen through your scope from right to left at 100 yards. As magnification is increased, FOV is lessened. As magnification is decreased, FOV is increased. For example, a typical 3X9 variable scope might have a FOV at 100 yards of a bit over 30 feet, and at 9X, the FOV would be around 14 feet. Once you get a handle of these concepts, you can begin deciding on what type of scope is right for you. At one time, variable power scopes were much more expensive than fixed power. This is not necessarily true now. Which should you choose? It depends on what you are going to primarily use the scope for, the caliber and quality of the rifle you are going to mount it on, and the primary terrain you will be working in. For example, there is no use putting a 3×9 variable power scope on an AK-47 that you will be using in wooded terrain. To begin with, the rifle will not be accurate enough to maximize the 9x capability, and at 9x you field of view will be so limited in wooded terrain that you will not be able to observe much. However, if you are going to be mounting it on a .308 Winchester or .30-06 (or other larger caliber) rifle and you are in the desert, the 9x would be usefull to let you really reach out there and maximize the rifle’s capability and still use it in close terrain on low power. Short range dense vegetation=low power. Long range open terrain=higher power. These are just rules of thumb, and again, a lot of it depends on the weapon you plan to mount it on. Match the scope to the capabilities and uses of the rifle. In Part 2 we are going to look at reticle choices and in particular the mil dot reticle. It is important to remember, well built modern tactical and hunting scopes are as solid and in some cases more solidly built than iron sights. This however, does not change the simple.fact that learning on irons and transitioning is by far the best approach. Agreed. The world’s sniper prove themselves with iron sights before going to glass. They also continue to train on them. Glass breaks. Scopes go bad. I thought I was the only person in the world that had ever stated that and lived to tell the tale. Experience is the best teacher. The trick is to survive the lesson. The problem is, many of the rifles commonly available don’t have iron sights, or at least not good iron sights. If I had just about any rifle, I would want it to have good iron sights, plus a scope in a quick detach mount which could be remounted without affecting the zero. In my younger days, I had a lever action 308 with a “swing away” scope mount (by Pachmyr, I think) which worked out pretty well. I also had a 308 heavy barrel Ruger with no sights and their proprietary scope mount. Couldn’t put on sights without an expensive trip to a gunsmith, and even if I did that, I couldn’t use those lever lock or other QD rings, so found it pretty much “useless”. I think it was still NIB when I got rid of it. Very true and I think the manufacturers do the public a disservice by not providing iron sights on some rifles. When someone asks why I don’t have a scope on my rifle, I tell them that I want to be completely proficient with iron sights first. Period. Stop. I find a lot of these people just like the way the scope makes it look cool. I cry for those people. I do have a scope though. I choose to use it as the alternative for longer range, more precise shots. A solid article on scoped shooting, for many people the idea of a gun is offensive, odd and outside their normal life. I would quite honestly say that most people born between 1975-now, are likely not capable shooters. Regardless, a short seminar on rifle performance and use, sling use and riflemans cadence etc., can quickly make even the worst shooter a mildly proficient one. And no, our military hasn’t actively taught true riflemans skills in basic since before the Vietnam War. So a military career can easily be spent not knowing far more than the average active American hunter. So yep. Nice article and well written! Thanks and Good points. Many people try to substitute equipment for skill.